Flintlock pistols were so called because the lock uses a flint to strike sparks into the priming pan when the trigger is pulled. This unique 18th Century Flintlock Pistol has an octagonal-to-round blued barrel. 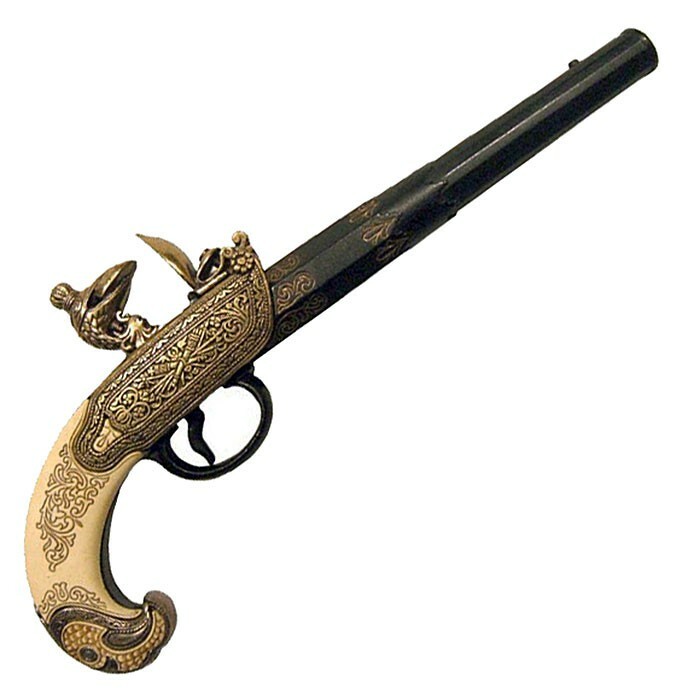 This classic replica gun features an elaborately engraved simulated brass receiver and engraved ivory grip and eagle head handle. The original of this particular flintlock pistol was made in Tula, Russia, in the early 18th century and its decoration and finish, as compared with Western European models, is distinctive. This is a decorative item, it cannot be fired.